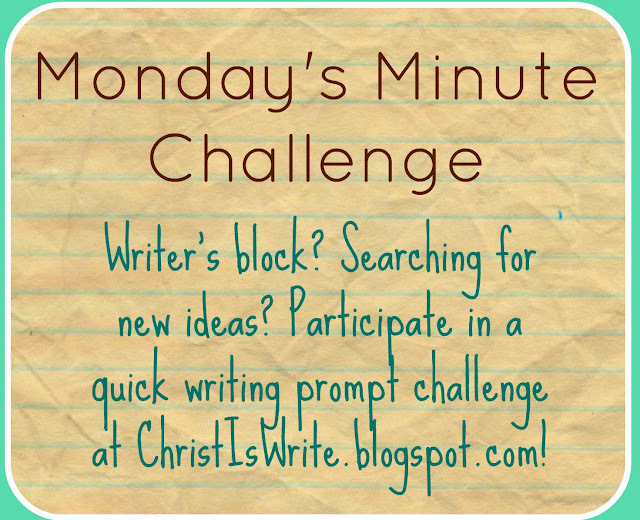 Monday’s Minutes (on a Friday) | Just Being Me! It was snowing…again. I glared ferociously at my coat as I pulled it on over my think winter shirt. I reached for my purse that lay on the couch, where I had thrown it. I paused remembering my cup of coffee I had left in the kitchen. I should grabbed that. It would be even colder outside. I darted around the corner, and grabbed my coffee from where it sat on the counter. Steam rose up from the surface of the coffee. I waved my finger through it, and the steam scattered. I smirked. Yes, the coffee brought me much delight. I hurried back to the door exiting my apartment, I latched onto my bag as I did. The door clanged shut behind me. I could feel my body warming up as my legs moved quickly forward in a fast walk. Blood rushed through my body, warming me. There was a reason I parked my car so far from the door of my apartment. It took me awhile maneuvering around the piles of snow in the parking lot to get to my car, which happened to be situated in one of the ‘abandoned’ spots in the lot. I picked up speed as I carefully leaped over a small pile of snow. I stepped towards my car, frowning as I saw that someone had drawn on my snow covered window-shield. I felt my bad mood returned, at a surprisingly fast pace. It must have been just lurking somewhere in me, just waiting for a chance to grab me in it’s clutches. 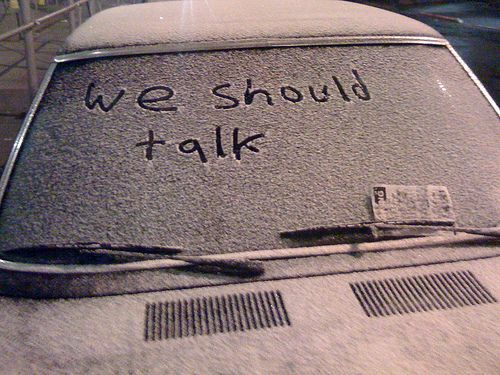 ‘We need to talk’ were the words on my car. I ignored them, and slid into the drivers seat. A hand clamped over my mouth. “Take us to Miller’s drive.” the voice said in a hushed tone.